KIEV, Ukraine -- Ukraine’s parliament set NATO membership as a key foreign-policy goal, replacing the non-aligned status adopted by ousted Kremlin-backed President Viktor Yanukovych in a move that’s likely to further sour relations with Russia. Petro Poroshenko, president of Ukraine, speaks in Tokyo on April 6, 2016. A bill submitted by the ruling coalition was backed by 276 lawmakers in the 450-seat legislature Thursday in Kiev, the capital. President Petro Poroshenko wants to meet NATO entry requirements by 2020 and has promised to hold a referendum on joining. The former Soviet republic sees NATO as a security guarantee after a second pro-European revolution in a decade poisoned ties with Russia, which later annexed Crimea and backed an insurgency across its neighbor’s border. Ukraine has also signed an Association Agreement with the European Union, though has no formal path to joining the world’s biggest trading bloc. Russia has opposed the two organizations’ eastward expansion. “Russian aggression against Ukraine and the annexation of Ukrainian territory have set an urgent task for Ukraine to ensure real national security,” the authors of the legislation said. In response to NATO expansion toward its borders, Russia is taking steps to “re-balance the situation and defend its security,” Kremlin spokesman Dmitry Peskov told reporters on a conference call. 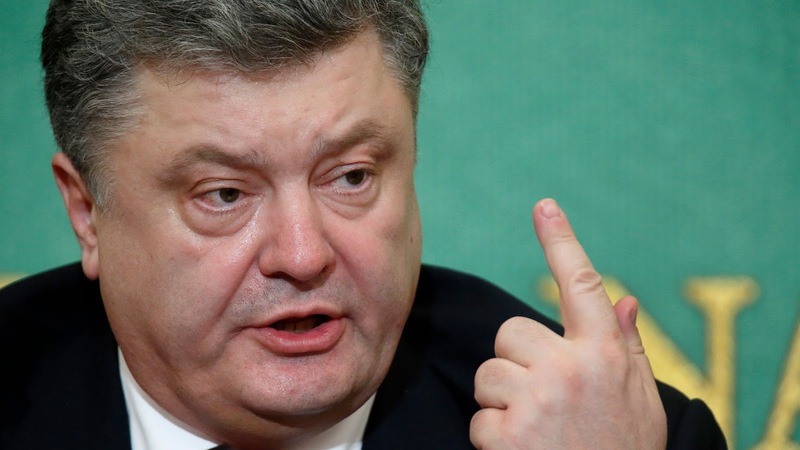 Ukraine is a country in “civil war” and decisions on its membership are taken in Brussels and other capitals, he said. Thursday’s move formalizes Ukraine’s efforts to join NATO after having a fast-track application rejected in 2008. The alliance has already absorbed 13 ex-communist nations, most recently Montenegro, which became its 29th member on June 5. Historic affinity to Russia soured its accession, with the Kremlin denying allegations it backed a failed coup attempt in October to overthrow the former Yugoslav republic’s pro-Western leadership. NATO itself has faced questions about its future after the election of Donald Trump. The U.S. president has criticized some members for investing too little in their armies and failed during a recent trip to Europe to clearly state his commitment to the alliance’s collective-defense pledge, known as Article 5.